WIPO's IP Facts and Figures provides an overview of intellectual property (IP) activity, using the latest available year of complete statistics. It serves as a quick reference guide covering four types of industrial property – patents, utility models, trademarks and industrial designs. The publication focuses primarily on application data, which is the most frequently-used measure of IP activity. 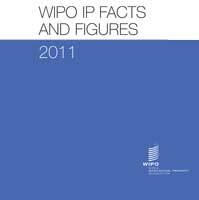 All figures presented within are based on a selection of those reported in WIPO’s more comprehensive World Intellectual Property Indicators.